Hi! I want to build WebKit module for Qt 5.7.1 and for Windows. ERROR: bison, gperf, win_flex missing but required to build WebKit. How to build it? Thanks in advance. i think it's better to let Qt make all the stuff. Hi! I have tried your solution, but it doesn't work. 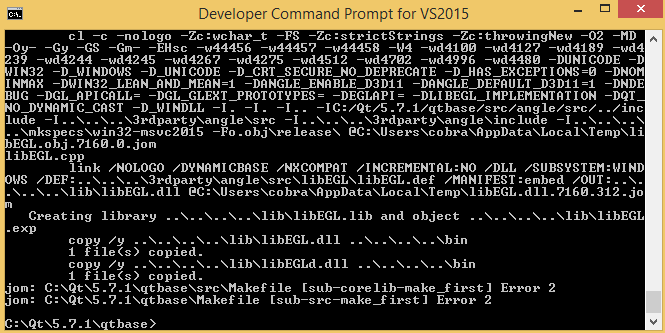 I have changed this line to: CALL "C:\Program Files\Microsoft Visual Studio 14.0\VC\vcvarsall.bat" x86_amd64, and no error exists. 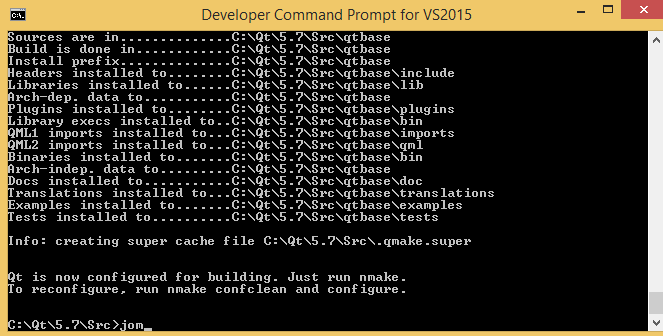 But the same error: 'qmake' is not recognized as an internal or external command, operable program or batch file. 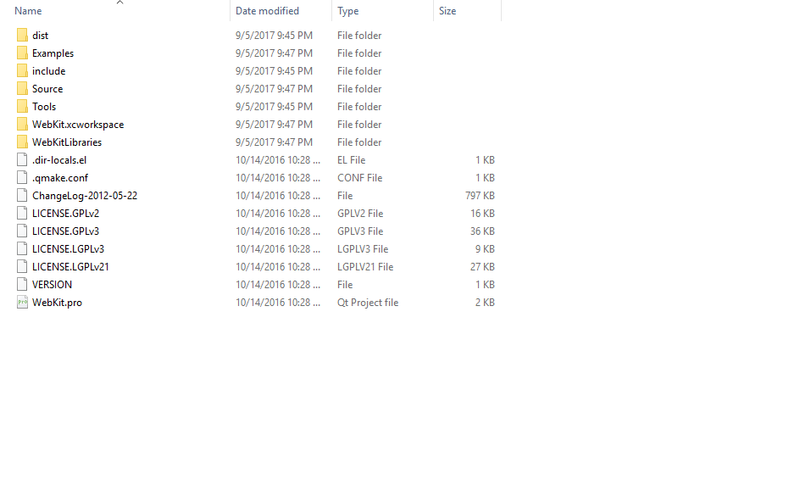 So I need to install all these software to finally build successfully? Thanks. I have fixed the issues, but only one is still exists. Waiting to the process to complete. jom actually calls nmake...so you will get the same error. The strange thing here is. 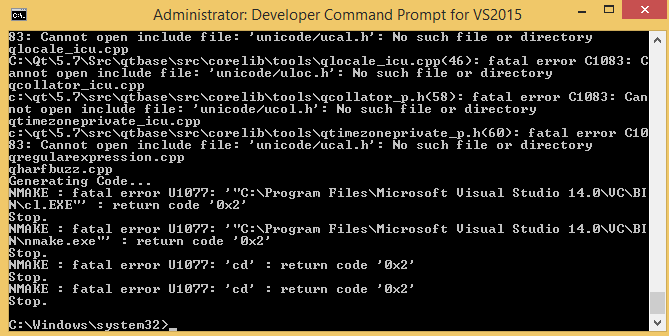 WTH do you build into C:\Windows\system32?! Something went wrong during your Qt configuration call. I will run nmake confclean command to clean old configurations. 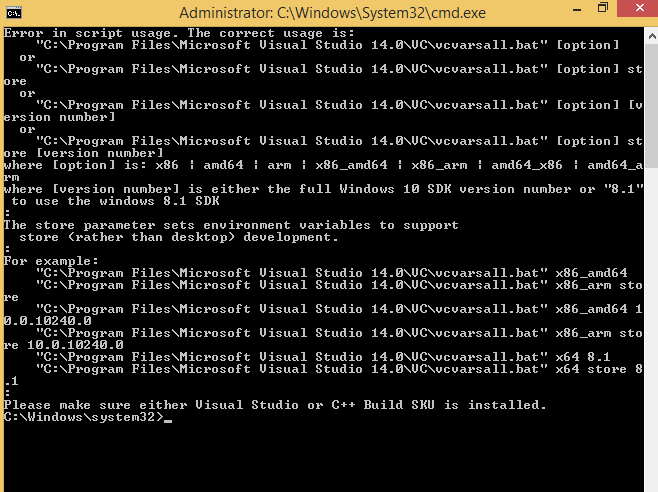 Then, I have created QtBuild directory (path: C:\QtBuild') navigate to that directory, run configure -icu and run jom. I need to navigate to the Qt source dir and build there? 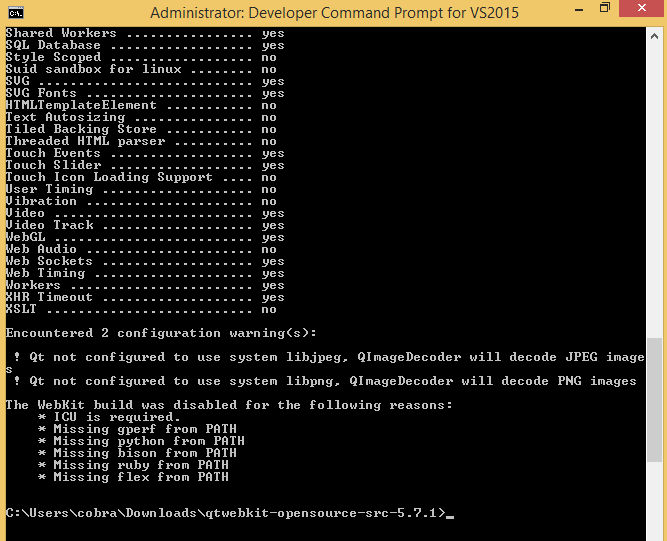 Run configure -icu from C:\Qt\5.7\Src directory. I think configure -icu approach will not work. Nope. Even with these libs included to the PATH it doesn't work. The same error with ICU is required. I will uninstall Qt and then build it with the source with ICU. Hi! Even when Qt was configured and compiled with ICU, QtWebKit module still can't find it and require ICU. So I think it's better to use qtwebkit_tp4_qt57_msvc2015_x86.zip (https://github.com/annulen/webkit/releases) and drop Win XP support in the application.